Graduates of our summer seminars are encouraged to apply for mini-grants of up to $1000 for relevant projects that benefit their local schools or communities. Recipients of the grant in states including Idaho, Kentucky, and New Mexico have used these funds to support visits from Holocaust survivors, community-wide reading programs, and cultural exchange. If you are a graduate of a summer seminar, click here to download an application form. 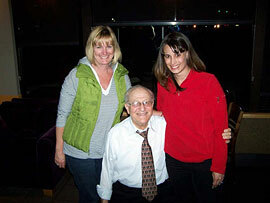 In the spring of 2009, Diane Williams and Angela Harvey-Dugan used funding from a mini-grant to bring Holocaust survivor Irving Roth to Boise, Idaho. Mr. Roth spoke with students at Les Bois Jr. High School and Anser Charter School, and presented to more than one thousand members of the community at a local high school. In addition, teachers participating in a professional development class on Holocaust education taught by Ms. Williams and Ms. Harvey-Dugan (and based on their work in the summer seminars) were able to meet with Mr. Roth in a small group setting. Afterward, Ms. Williams and Ms. Harvey-Dugan were overwhelmed by appreciative e-mails and phone calls from those who were deeply touched by Mr. Roth’s visit. 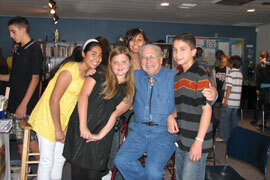 Roswell Reads is a community literacy event which the High Plains Writing Project conducts. In the fall of 2008, several hundred copies of Wiesel's Night were distributed to Roswell schools, community groups, and individuals to allow the community to read the book together. 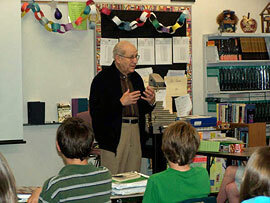 Five events were planned to help readers understand the Holocaust and the book. The kick-off event featured three speakers, Dr. Burroughs gave a history of the Jewish people, Leslie Lawner spoke about modern Jewish culture, and LaNelle Witt discussed the book Night and its literary themes. 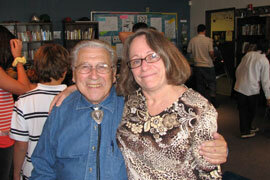 The following week Holocaust survivor Werner Gellert, founder of the Albuquerque Holocaust and Tolerance Museum, spoke to a group of over 200 high school and middle school students. Mr. Gellert visited Sidney Gutierrez Middle School to meet with students the next morning. On Friday of that week, the local synagogue invited the community to worship at its Shabbat service, and Mr. Gellert, a retired rabbi, gave the sermon. 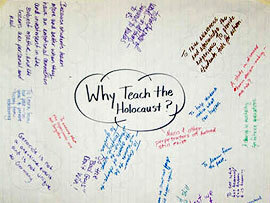 The next day we held a workshop for teachers, providing them with ideas and materials for teaching the Holocaust. We also held a student workshop that afternoon, giving students a chance to discuss Night, do some writing about it, and watch some videos about the Holocaust. The final event features the students reading some of their writings and sharing their thoughts, and final remarks on the book by Dr. Witt. Roswell Reads allowed us to reach many more people than we would have if we had just presented the book and subject in our own classrooms. A surprising number of adults had never read about the Holocaust and admitted to knowing very little about it. This series of events raised the level of knowledge and understanding of the Holocaust in our community considerably. 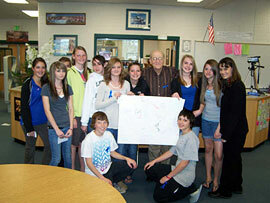 In 2007, Susan Hodgin, a sophomore English teacher, was awarded a Teacher Incentive Grant from the Idaho Humanities Council for a project called "A New Message for Holocaust Educators: Generations Bearing Witness," to print an anthology of student responses to a visit by a Holocaust survivor. 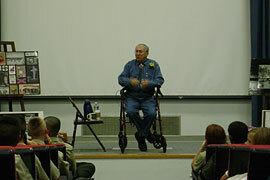 Through her mini-grant, Ms. Hodgin implemented the Adopt-a-Survivor program (begun by HEN guest speaker Irving Roth) in Moscow by inviting Holocaust survivor Noémi Ban, author of Sharing Is Healing, to present her story to the entire student body and then to spend an afternoon with Ms. Hodgin's students at a local conference center. The students responded with poetry, letters, journal entries, and essays, which were brought together in a volume entitled Auschwitz and After through Their Eyes: A Survivor's Story for New Generations. With their book in hand, as the world approaches the 100th anniversary of World War II students may recount to generations their first-hand encounter with a Holocaust survivor and remember the atrocities of the Holocaust and all those who suffered and died.